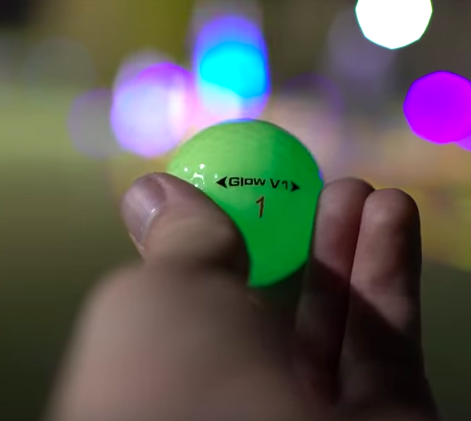 The GlowV1 is the only Tour quality night glow golf ball that performs as well as your favorite daytime ball. No LED night golf ball can make this claim. 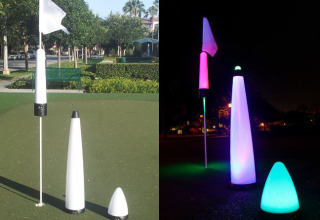 Just charge it up with our UV Power light and hit shots just like you do in the daytime. Pure feel, pure distance. 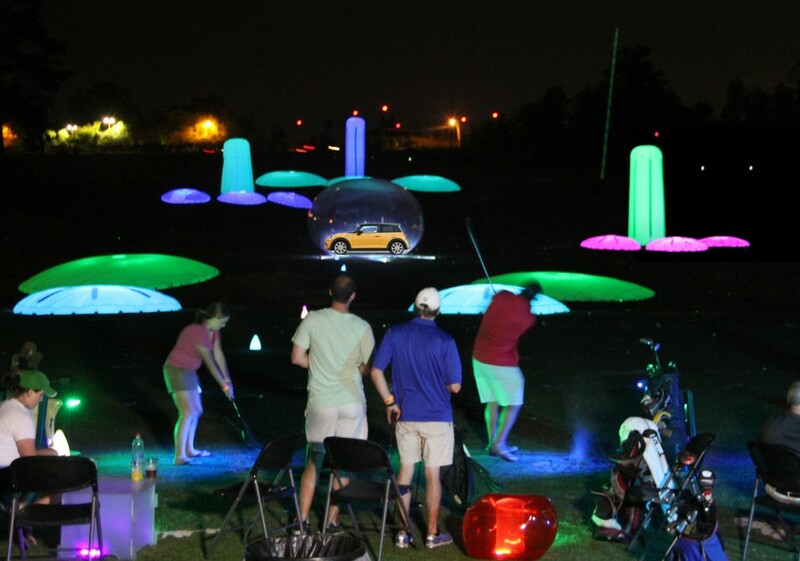 If you like cosmic bowling, and glow golf, the Cosmic Driving Range is the newest and coolest night golf event on the planet. You can either sign up to come to one of our Tour stops in 2015-16 or give us a call if you have a golf course or corporate outing that wants is yerning for brightest night in golf. Challenge even the best golfer with the competition made famous by the Golf Channels hit TV show, The Big Break. Put on the coolest office golf putting competitions and fundraisers ever. 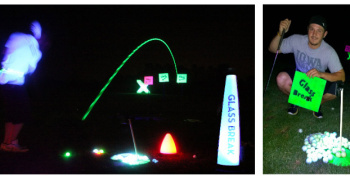 Our neon putting track can make hundreds of designs.